Think back to the time you got promoted into your first leadership position in your professional career. Can you remember? Now, I have two questions for you. First, how did you feel? I’m sure it was something totally new, and you were excited. You may have even felt a little fright, too. No doubt you were up for the challenge and grateful for the opportunity, but maybe you were also a little nervous and scared. You may have even felt that whole “imposter syndrome,” too. Next question: Were you prepared for it? If you look at the research, odds are you weren’t. According to a CareerBuilder survey, almost 60 percent of new leaders receive no training when they get promoted into their first leadership position. And those new leaders who actually do are not likely to receive as much time, resources and attention through training and development as more senior and seasoned leaders typically do. You might not believe this is a huge problem, but think about this: According to the U.S. Bureau of Labor Statistics, there were over 7 million first-line supervisors in 2014 with close to 2 million job openings. That’s a lot of managers, and many of them had never led before. And a majority of them get no training whatsoever. Organizations are neglecting to help new leaders make the toughest psychological and emotional shift in their careers: moving from a high-potential, superstar employee to a manager. Is it any wonder that there are problems with leadership pipelines these days? Organizations simply are not investing enough in their largest population of leaders – entry- and first-level frontline managers – many of whom have never managed before. Do you realize the importance of these leaders? They directly manage more employees than any other managerial population in your organization. They have the closest connection to many key performance indicators like customer satisfaction, employee engagement and productivity. They are the future leaders of your organization and are a signal to the viability of your leadership pipeline. Organizations are neglecting to help new leaders make the toughest psychological and emotional shift in their careers. Developing a strong and healthy leadership pipeline starts with your first-time supervisors, managers and new leaders, and is critical to the success of your organization’s business strategy. Yet, so many organizations are not doing enough. But you are in a position to do something about it, and one relatively inexpensive way to do it is through a mentoring program specifically designed for new leaders. 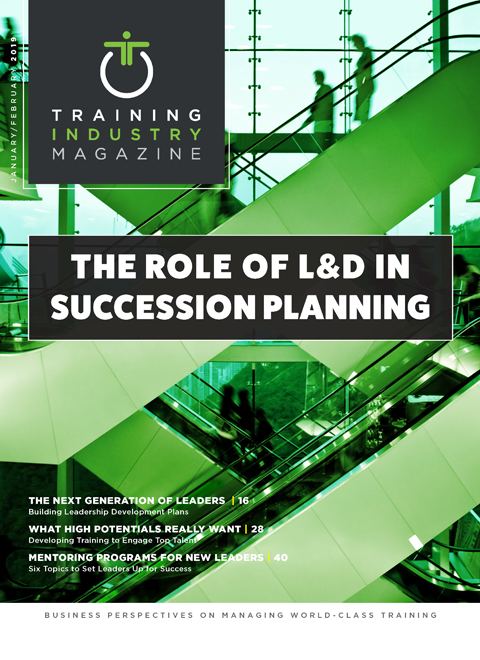 This article will highlight six topics research suggests mentoring programs for new leaders should cover. In what follows, you will understand what the six topics are and how your mentors and new leader mentees can have developmental conversations around each topic. Many new leaders have what famed psychologist Carol Dweck calls a “fixed mindset.” Those with a fixed mindset tend to avoid challenges, give up easily when times get hard, disregard criticism and negative feedback, and are threatened by successful people. In her research, ineffective leaders tended to have a fixed mindset while successful ones had a growth mindset. Those with a growth mindset welcomed challenges, endured through tough and challenging times, embraced and used critical feedback to better themselves, and learned from the successes of others. Mentors should talk with their new leader mentees about their own personal mistakes and failures and what they learned from them. By having open conversations about failures, new leaders will understand that it’s acceptable to fail and to make sure to learn from their own failures. Something that is usually shared amongst new leaders is that they were promoted largely due to their technical skill and savvy. The salespeople who bring in the most sales are usually the ones promoted to lead the sales team. The best researcher is usually the one who is promoted to lead the research team. That technical skill and savvy that got them the leadership gig quickly becomes a detriment if they rely solely on that. New leaders must understand that it is other skills, like communication and influence, that they must rely on to be effective in their new leader role. Mentors can give pointers to new leaders about how to read the emotions of others, understand what the motivations and goals of others are, and adjust their communication and influence style accordingly to fit what the other person wants. New leaders are no longer part of their team; new leaders now lead the team. Oftentimes these new leaders were peers and maybe even friends with their co-workers one day, and then they get promoted and now they have to lead those friends and former peers and colleagues. Mentors can make that adjustment a lot easier for their new leader mentees by listening to their frustrations, and giving some examples of how they made that transition. They should also help their new leaders understand the importance of setting a vision, providing role clarity, and understanding how to uncover what motivates each of their direct reports (what the Center for Creative Leadership calls direction, alignment and commitment). New leaders struggle in letting go of what made them successful as an individual contributor (doing all the work and doing it well) and embracing what will make them successful as a leader: coaching and developing their own direct reports to do their work well. Feedback should be of particular importance to new leaders. Mentors should discuss with their new leader mentees the different types of feedback that exists, how to deliver feedback well, how often, and best practices surrounding feedback. But it’s not just delivering feedback that is necessary. In addition, mentors should discuss with new leaders how to set a climate of feedback for their team, how to encourage members of the team to give the new leader feedback, and what the new leader can do to ensure that the feedback was heard, addressed and implemented (or if it wasn’t, the reasons behind that decision). Many new leaders are used to keeping their head down and doing the work. That’s what got them promoted into leadership in the first place. But new leaders must lift their heads up and understand how their work, and their team’s work, fit into their larger department, other functions, and the mission and goals of the organization. They have to work across silos and boundaries to accomplish things with others who may have different (and sometimes competing) goals. No doubt, organizational politics come into play. Mentors should help new leaders understand that work does not have to be an “I win and you lose” situation. They should listen to the struggles new leaders have in dealing with the politics in organizations. They should encourage new leaders to change their perspective that politics is neither negative nor positive, but rather, the air we breathe in organizations. Coach new leaders to have a win-win mentality in a genuine, authentic way that benefits all parties involved. Speaking of genuine and authentic, mentors must stress the importance of integrity and character in everything new leaders do. As leaders, all eyes are on them even if they don’t think anyone is watching. Mentors should talk to new leaders about ethical failures of leaders in the organization’s past, why those occurred, and how to set new leaders up to succeed if similar situations arise. I often tell new leaders I train, coach and work with that leadership would be really easy if it wasn’t for the <insert your favorite expletive> people involved. It can be the most difficult, frustrating, scary, worrisome, and thankless job imaginable. But it can be so rewarding as well. Mentoring programs can help new leaders if the topics discussed are pertinent to what they will be facing. Because of their relevance, these six evidenced-based topics will enhance what is learned in mentoring programs for new leaders and will maximize the success. William A. (Bill) Gentry, Ph.D., an industrial-organizational psychologist and leadership researcher with a specialty of researching and helping new leaders, is currently the director of career and professional development at High Point University.